This course closes the gap between hardware and software engineers by providing the software engineer all the necessary FPGA concepts and terms. 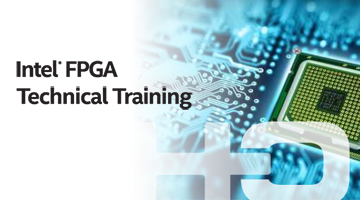 The course provides deep overview about the FPGA market, development tools, design languages, and digital design considerations. The course integrates also practical labs where software engineers can get experience with the FPGA design process. The course starts with an overview of the programmable devices and their capabilities, continues with a short study of the VHDL language, writing simple testbench and using simulation tool. The course also describes the synthesis and Place & Route processes, FPGA programming on board, and the verification process. The course covers the new trends today like embedded soft and hard processors in FPGA (including ARM), DSP process in Simulink and Matlab, IP integration, multiple clock domain and synchronization circuits design issues, embedded logic analyzer and timing constraints.